The BX provides information about government agencies to the design and construction professions. All permit applications are now online at www.bexley.org. An architectural review is now required for all exterior changes to residential principal structures. For detailed information regarding policies, please visit www.bloomtwp.org. All zoning permits should be applied for and obtained from the office at 8490 Lithopolis Rd., Carroll, OH 43112. All Permit, Inspections and Zoning concerns may be directed to Ben Geiser at 614.600.7889. Village of Brice Building and Zoning meetings take place on the second Thursday of each month, one hour prior to the Village Council Meetings. Contractor Registration: Canal Winchester does not require local registration. Building permit applications are available from the village's website. Two (2) sets of plans are required for residential submittals. Four (4) sets of plans, signed and sealed by the architect or engineer preparing the plans, are required for commercial or industrial submittals. For plumbing inspections, contact the Franklin County Board of Health at 614.525.3160. Effective Jan. 1, 2019 - City of Gahanna has implemented new building, zoning and business incentive fee schedules. Please refer to the Department of Development information on the City of Gahanna website. 7:30 a.m. - Noon / 12:30 - 4 p.m.
Building Inspections and HVAC inspections daily. * Service department employees only. ** All except service department employees. Building permit applications are now available online at www.grovecityohio.gov, select Building. For applications not shown online, call 614.277.3075. Requests for inspections must be received by 12 noon in order to be scheduled for the next business day. Allow two (2) business days for scheduling commercial final inspections. Contractors can now schedule their own inspections at www.grovecityohio.gov on the Customer Online Data Express System (CODES). This feature is available to contractors who are registered with the City of Grove City. Schedule online until 8 p.m. for next business day inspection. For further information call 614.277.3075. City of Groveport has contracts with Madison Township to provide Building Department Services for commercial projects. A certificate of zoning compliance is required for the Madison Township prior to submitting building plans to the City of Groveport for approval. Note: When a holiday falls on a Saturday, the preceding work day whall be considered the holiday. When the holiday falls on a Sunday, the following work day shall be considered the holiday. Three (3) sets of plans are now required for residential submittals. Four (4) sets of plans are now required for commercial submittals. Roofing contractors are now able to email photos of their jobs instead of having an onsite inspection. The city will send you a copy of the notification the homeowners receive when they send you back your approved 2016 Registration. For HVAC contractors regarding replacement/repair permits: Homeowners can now call the Hilliard Inspection Line 614.334.2466 to schedule an 8:30 a.m. appointment on Mondays. Note: Safety Department will not observe the extra day at Thanksgiving and Christmas. 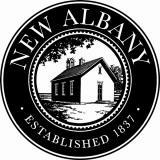 The Community Development Department is dedicated to safeguarding the quality of life, health, safety and welfare of New Albany's residents and the public through the enforcement of codes, ordinances, regulations, and to conduct business in a courteous and professional manner. We strive to support further growth, the orderly development and the future vitality of the city and surrounding communities. 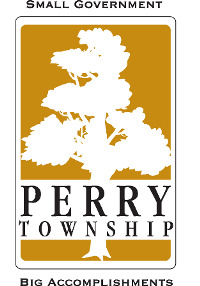 Permit applications and inquiries are made at the city office at 99 West Main St. or by calling 614.939.2254. All inspections must be requested by 4 p.m. to receive the inspection the next business day. Sewer tap inspections and all inspections that require both City Inspectors and Fire Department must be requested 48 hours in advance. The inspection line 614. 939.2222 and the inspection fax line 614.939.2234 can be accessed 24 hours a day. Note: If a holiday occurs on a Saturday, the holiday will be observed on Friday. If the holiday occurs on a Sunday, the holiday will be observed on a Monday. HOLIDAY SCHEDULE - Please check the Community Calendar section of the Obetz website for dates the building department offices will be closed. Hours of Operation: 8:15 a.m. - 2:30 p.m.
For details of the above customer services and bureau policies, visit the website at www.com.ohio.gov. Those who are considering filing for rezoning, variances and conditional uses, please contact the Zoning Office during regular business hours, Monday through Friday, 8 a.m. - 4:30 p.m. at 740.548.5430. Certain activities, primarily public utilities and agricultural uses, are exempt by law from zoning requirements. Others, such as schools and state or county government uses must conform to zoning requirements to the extent possible. For zoning requirement details, visit the Orange Township website. For building permits, contact the Licking County Building Department at 740.349.6671. 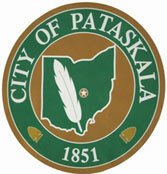 The Pataskala Corporate Park is located at State Route 16 and Mink St. This large parcel of contiguous acreage is prime for development, located in an area offering tax incentives, is part of a community of residential and support services and is accessible by the north, south and west. 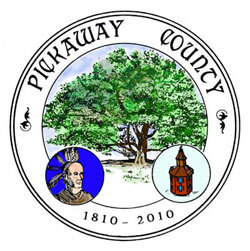 Requests for inspections may now be emailed to: inspectionrequest@pickerington.net. Inspection requests and results are available on the city website under Business/Building Department. Inspections can now be emailed on the Powell website. Commercial construction permits for the Village of Sunbury are obtained through the State of Ohio. All general contractors, electrical contractors, plumbing and HVAC contractors are required to register annually to do business in the City of Upper Arlington. There is a $100 annual registration fee beginning Jan. 1 through Dec. 31 each calendar year. All registrations expire Dec. 31 of the year issued. All fees and forms are located on the City of Upper Arlington website at www.uaoh.net. Go to Departments, Building & Construction, then select from Codes, Forms, Fees, Plan Review Process, Inspection, Contractor Registration, etc. NOTE: When the holiday falls on a Saturday, the preceding work day shall be considered the holiday. When the holiday falls on a Sunday, the following work day shall be considered the holiday. You are required to apply and institute drainage, erosion and sediment control for construction projects. Homeowners are to establish a plan for barrier around in-ground pools that is code compliant at plan review. The 2013 Ohio Residential Building Code is adopted. The 2011 Ohio Commercial Building Code is adopted. 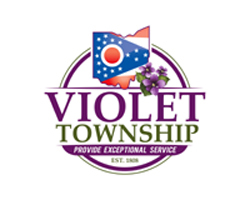 Effective Jan. 1, 2005, Violet became a commercial state certified building department. Inspection requests will be accepted up to 3 p.m. the day before the requested appointment. For any matters regarding Washington Township / Dublin, contact the City of Dublin Building Department at 614.410.4670. The Zoning Department is responsible for enforcement of the Zoning Code within the unincorporated area of the township, issuing permits, assisting residents and property owners with zoning and land use questions and for providing informational assistance to the Zoning Commission and Board of Zoning Appeals. The purpose of applying and enforcing zoning regulations is to foster good planning, strengthen community appearance, and enhance the quality of life for residents. Washington Township's Land Use Plan Update (from Franklin County Development Dept.) was completed in Dec. 2005. 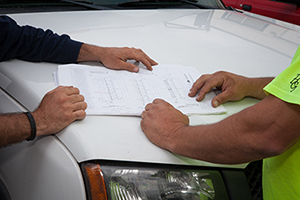 To schedule an inspection, call 614.246.7853. Codified Ordinances for Whitehall, OH - Before you build, remodel, or open a business, check Whitehall's Permit Requirements online. 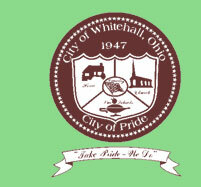 Effective Jan. 1, 2013 - The City of Worthington will enforce the 2013 Residential Code of Ohio. Effective Nov. 1, 2017 - The City of Worthington enforces the 2017 Ohio Building Code.